We’re native Floridians. I know, I know, it’s crazy to actually know one native Floridian let alone two! Even though we grew up here and spent a lot of time throughout the state, we still wanted to come back and see it in a different light; from an RV! Our experience this go around has been very different from our past, growing up. 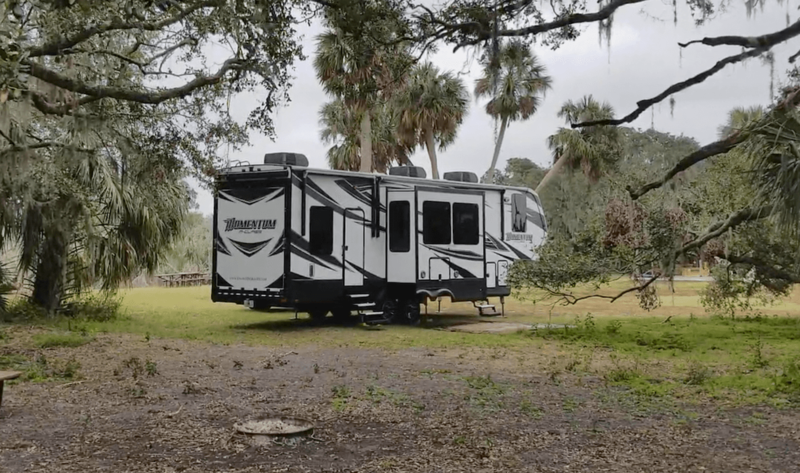 Our lack of planning prevented us from staying at any of the beautiful Florida State Parks (super bummer – they are REALLY nice and affordable), but we found something even better – FREE camping! 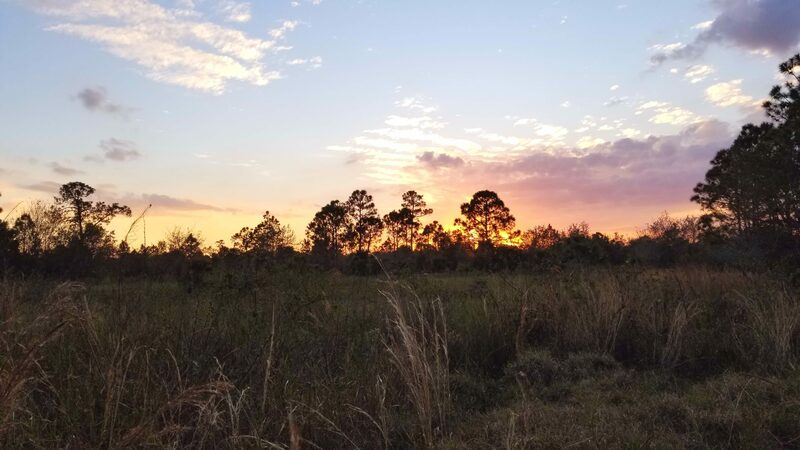 The Water Management Districts and Florida Wildlife Commission has protected land all throughout the state that offer several beautiful locations to camp. We spent nearly two months camping around the state for free, in winter aka snowbird season. Watch our video to see some of the beautiful spots we were able to enjoy this season. If you’re going to camp, most of the districts require advanced approval or a permit which can be free or a small nominal fee. Make sure to check each individual website to see how their system works. Unfortunately, most of the websites are not user friendly and require some dedicated searching and trial and error to find what your looking for. The land is broken up into five different districts which all manage their own areas. Your best bet when landing on the website is to find the tab for or search for “recreation”, then “camping” or “equestrian camping”. There is a ton of public land, but that doesn’t mean all of them allow you to camp with an RV or motor vehicle of any kind. Several are restricted to just day use, hunting, or tent camping. We’ve provided the links below to make the process a little easier. Seriously – there are SO many places to camp. You could easily spend 3 – 4 months just staying at each spot and not even see half of them! 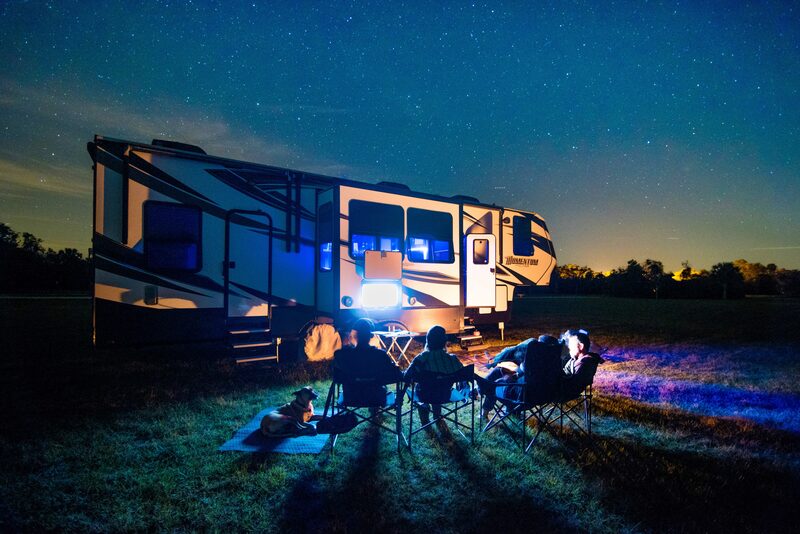 Each area varied widely in proximity to cities or towns, traffic noise, number of other campers there, closeness to nature, and camping amenities. We thoroughly enjoyed each park we stayed at and look forward to coming back in another season and exploring wild Florida some more! Which one is your favorite? We loved this campground! 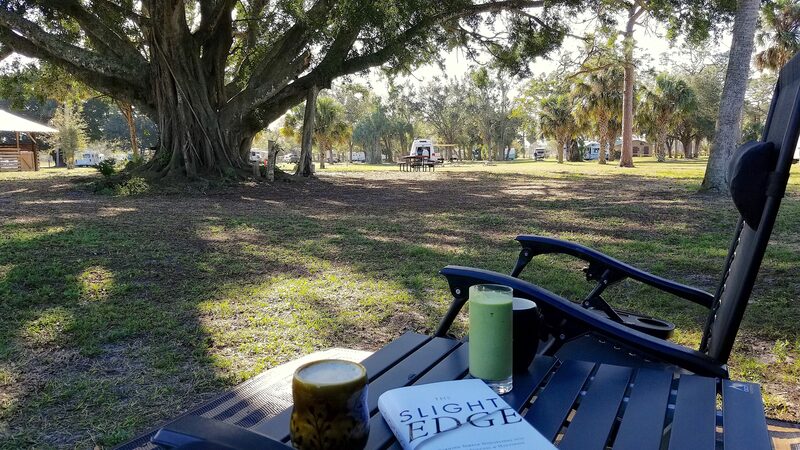 Just a 4 minute drive to the shoreline of Lake Okeechobee, the largest fresh water lake in the state and about 25 – 30 minutes from the nearest town which has every store you could possibly need. 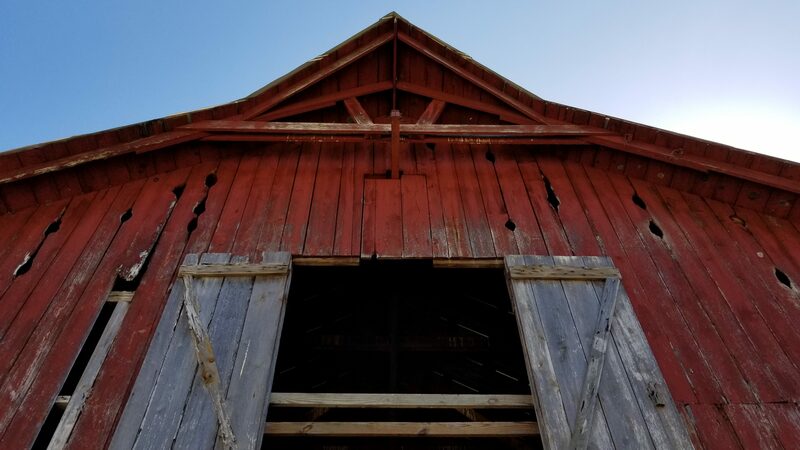 The land itself is just a big open grassy field that has several barns and stables for horses. The equestrian and non-equestrian sites are separated. They also have an area just for tent campers. It has several bike trails and nature trails that wrap throughout the managed land but it’s quiet sandy and rather flat. You might see wild boars/hogs, tons of birds, raccoons, and if you’re lucky an alligator! There were a lot of campers when we were there, as this is a pretty well known spot, but most campers leave plenty of space between their rig and yours so you don’t feel crowded or cramped. This is off a major road so traffic will be heard in almost all of the camp. Park as far away from the road as possible and you won’t hear much noise. This is toward the center of the state more toward the southern tip of the state. It’s also a bit farther from civilization 45 minutes to an hour drive depending on what you may need. The campground is beautiful. Old oak hammocks throughout the park, but still plenty of spaces for sunlight in case you’re using solar for power. There were less people here and far less traffic than DuPuis (which was happily welcomed as we went here after that). 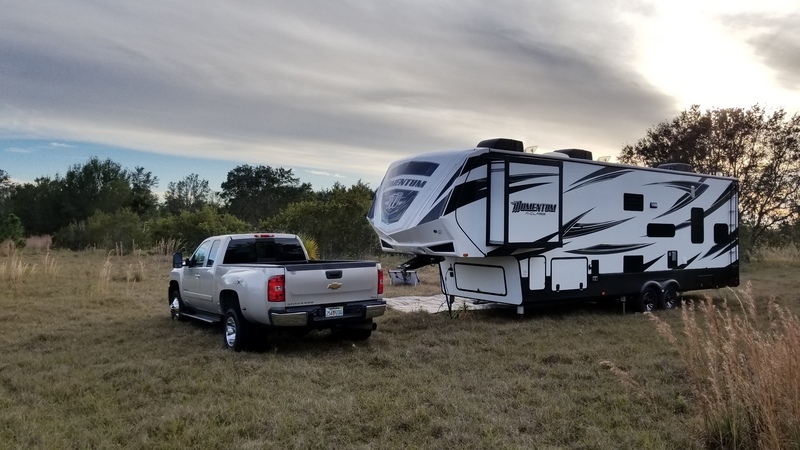 A smaller campground within a very large publicly managed area just outside Arcadia, FL headed toward Southwest Florida. It feels like you’re in the middle of nowhere, no traffic noise, no cars in sight (well unless the parked with the rig). In reality, you’re a 25 – 30 minute drive to a very happening, busy town. We even went to a nearby brewery during a stay! There are several dedicated camping spots sprinkled throughout a grassy field under beautiful old oaks. There were three other campers, one group being 15+ large. We decided to head toward the very back of the campground and did a little “off road parking” to try and find our peace and quiet. There are a few nature trails just past the area, again very flat and similar views throughout the walk. We saw 2 birds on our “nature” walk, and evidence of hogs but no actual sightings. Maybe next time! Hi Kathy – check out the links we provided to the various areas and check it out. I do believe there is a lot of free camping in the panhandle! 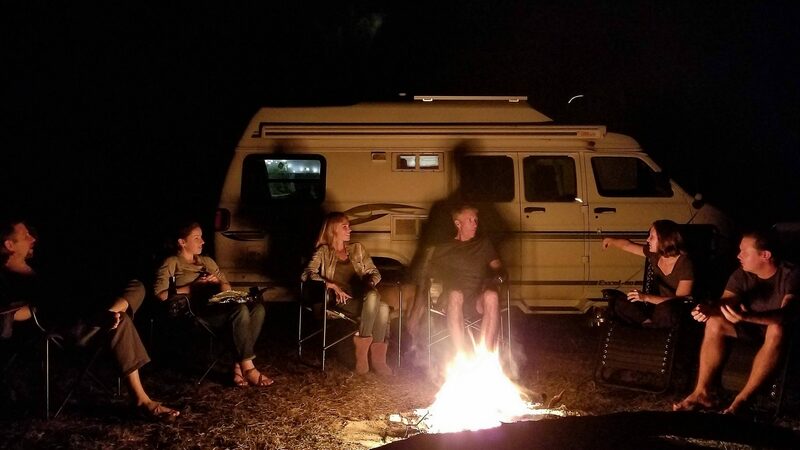 Any free rv camping and or parking in the Florida keys? We got lucky & were able to “store” our trailer at a marina in their boat trailer lot for a fair price while we stayed with family in their apartment.